SAP SD: the SD here stands for sales and distribution. SAP SD involves a wide range of sales management solution having its effect on the broad range of things in the field of logistics benefitting the client organization in different ways. It, in general, takes care of processes such as quotations, sales orders, billing distribution, etc. it is very closely linked with MM and PP modules helping the company in managing various other things such as inventory, selling price of the goods, keeping track of orders in demand, etc. One of the important purposes the companies opt for SAP SD module is to maximize their profit by bringing about a positive change in their balance sheets. It is done by the method of making each department perform more efficiently and smoothly. It also manages the distribution chain of the product. It is largely responsible for looking into activities such as sales, marketing, advertisement, and pricing, etc. All these processes together benefit the company in finding a solution to optimize its resources and maximizing the profit. An SAP SD consultant is a key figure in the company’s growth. He is responsible for the development of specific requirements, implementing product order to delivery chain processes, taking care of complicated business processes. He is responsible for all logistics work such as packing, shipping, and delivery. A certified SAP SD consultant starts his career with a handsome salary and other incentives. 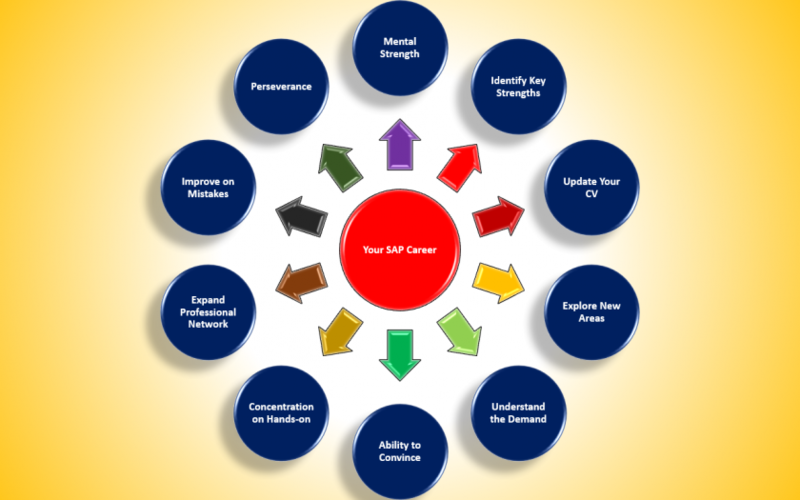 With experience and field knowledge the SAP SD consultant starts getting well versed in handling live projects making him suitable for applying for the post of SAP SD expert and demanding a fairly decent salary with a huge amount of incentives on achieving the target set by the company. What is SAP SD tutorial? Customer master data and material master data– customer being the key master data the person is made to learn to create a customer master data and material master data. He is made create customer range to maintain and assign sales their respective accounts. Functions such as how to create partner function, how to create material stock, how to create customer material info record, how to create a sales view are taught. Sales – in tutorial related to sales the candidate is made to learn how to overview all kind of sales activity, how an inquiry is created, what is quotation? How can it be created, creating a stock order, looking into sales documents, taking care of credit and debit memos creating an item proposal, which material are to be included and which are to be excluded? Delivery – it includes learning of packing list, how to create a shipping point, what are the cases when delivery is free and when it is paid and what are consignment process, Output proposal using conditioning technique and what are the substituting reasons. Other factors which are made aware are billing, pricing and credit management. This tutorial enables the candidate to learn SAP SD in detail and work in the field of sales and distribution.